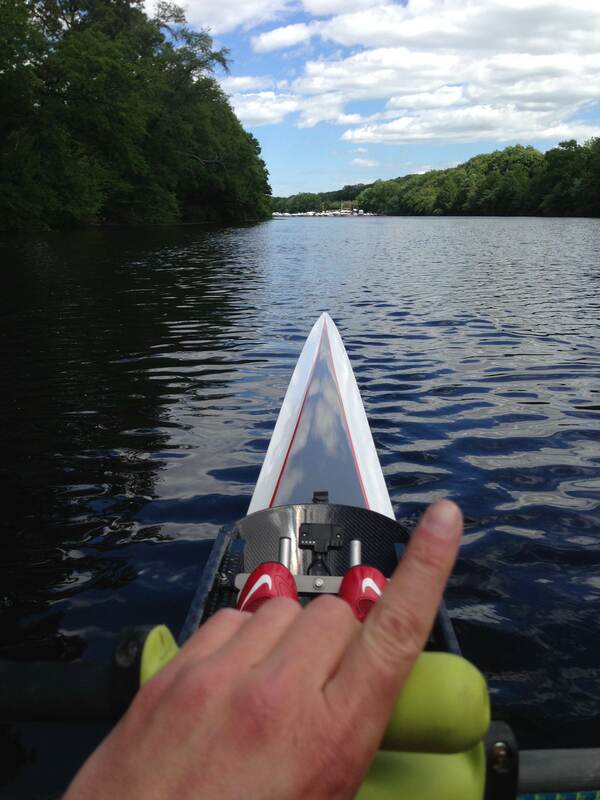 Rowing WOD 4/18/15: 3k, 2.5k, 2k – Who’s Ready for the Boston Marathon? Today’s Rowing WOD is a good opportunity to focus on one or two form fixes but get after it as well. Set the monitor for Intervals Variable and enter the work/rest accordingly. This WOD has the potential to build your confidence in longer pieces. Come up with a plan and execute. Be consistent with your splits and stroke ratings for all three. If possible go a little bit faster on each piece. Vets might try for a pace of 2k+5, 2k+4, 2k+3 for each successive piece with a stroke rating of 28-32. Find your efficient stroke. Novices should focus on one form fix for each piece and work hard. Why is Rowing Fun? and Who’s Ready for the Boston Marathon? This entry was posted in Fitness, Rowing, Strength and tagged balance life, endurance sports, exercise, functional movements, healthy-living, inspiration, mental toughness, rowing, sports, Strength, training by Renegade Rowing. Bookmark the permalink.